After School Club children have been working very hard over the last couple of weeks to decorate a large 3D Easter Egg. 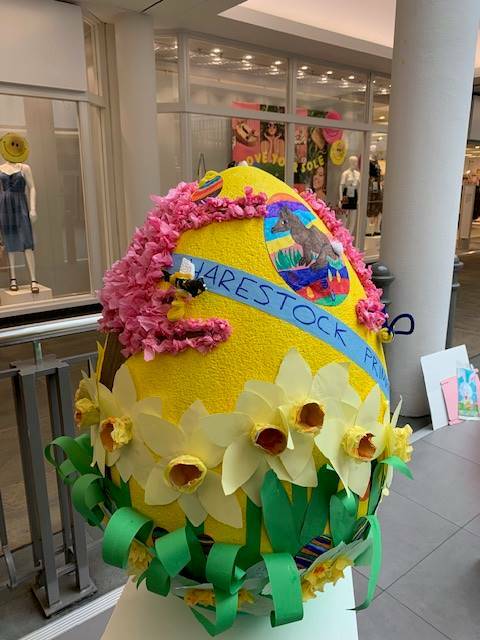 The egg is being entered in a competition at the Brooks shopping centre in town so please go along and vote for our egg. Relaxing music and a time to chill out and draw. 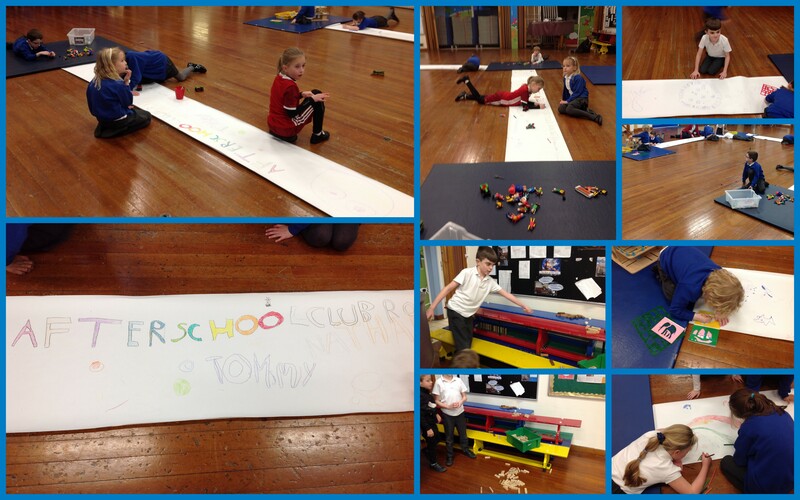 The children really enjoyed being able to freely relax and express their creative talents. Look in the After School Club room for the wonderful banner they produced. 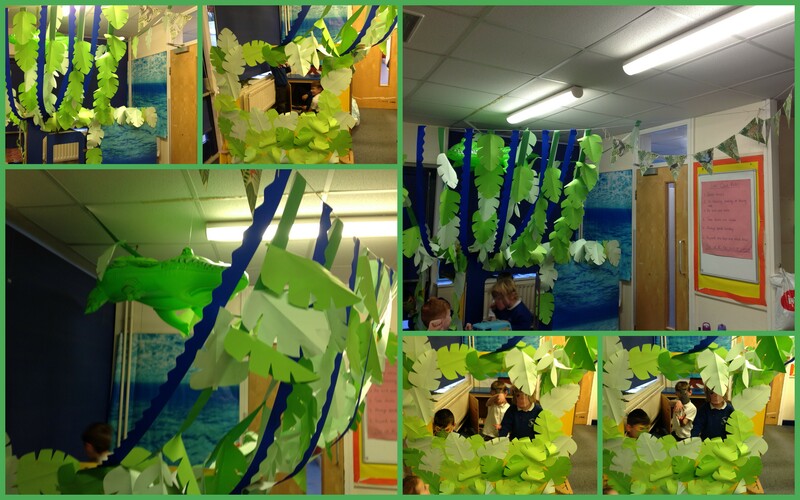 This term our theme is the Jungle and we have been creating our own swamp role play. The children all worked hard at creating the leaves to go at the top of our swamp but beware of the crocodile is hiding at the top! The children have enjoyed getting in to the festive spirit by running Santa’s Post Office with the help of all his little elf helpers. The room is being decorated with all their paper chains and snowflakes. 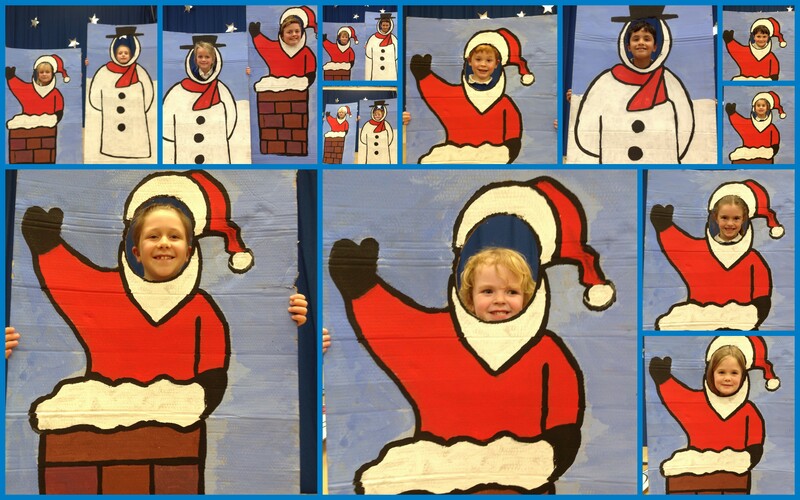 Santa and a Snowman have been painted and the children are enjoying having their pictures taken with them, you can see some of the results below. Welcome to all our new families which have joined us and a welcome back to all our regulars. We have enjoyed exploring our grounds both playing outside and collecting leaves. 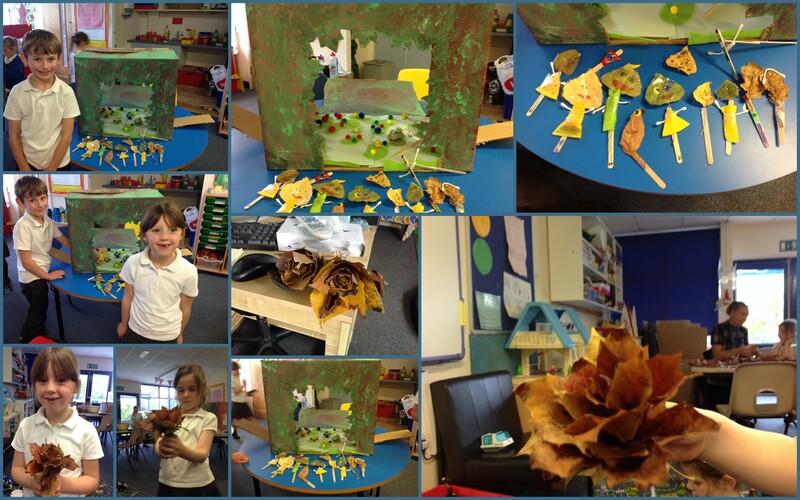 One of the children inspired us to create a leaf themed theatre and make leaf puppets. We have also turned leaves into roses! This half term we have been following the World Cup and all the children randomly drew a country to support. 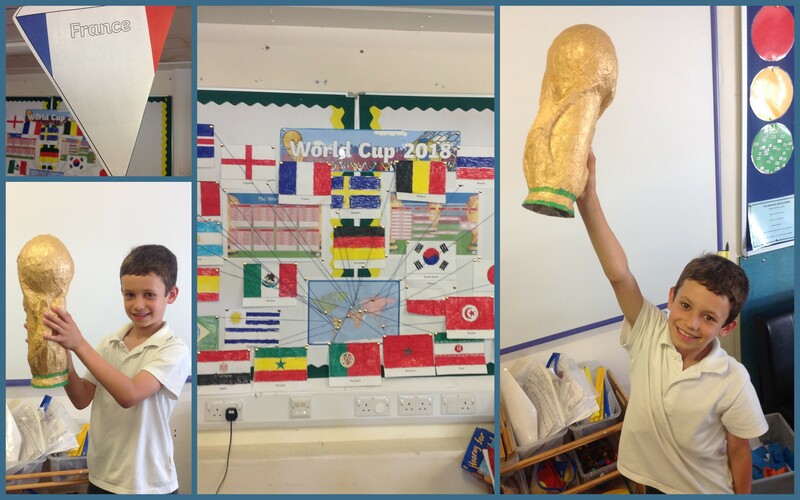 We then coloured flags and created our own World Cup. The person who drew the winning team would take home the World Cup. Our lucky winner was James.